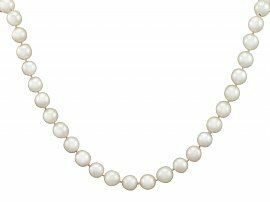 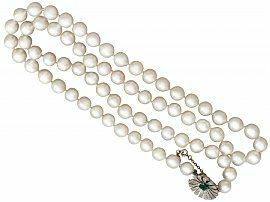 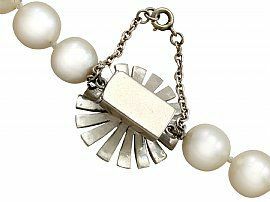 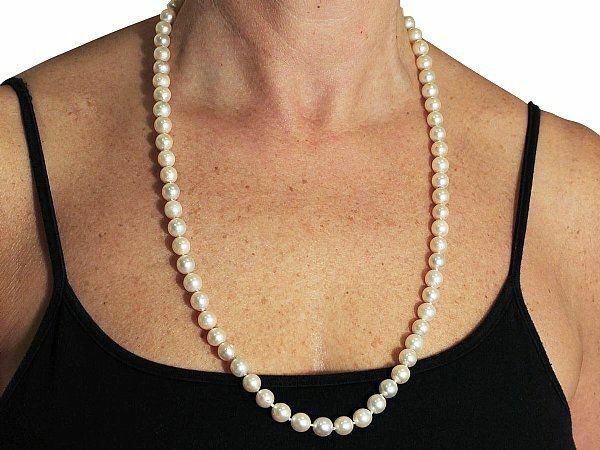 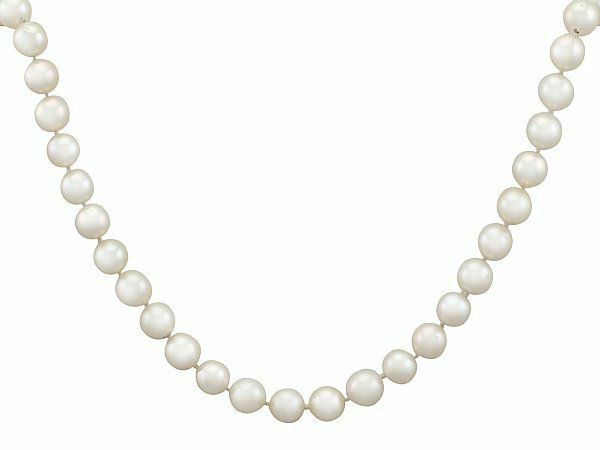 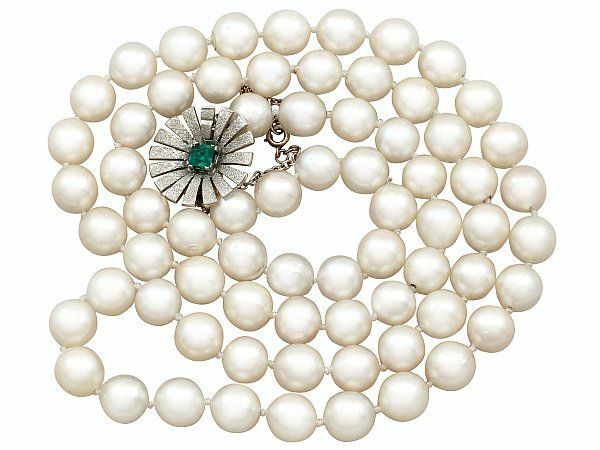 This impressive vintage single strand cultured pearl necklace displays a total of seventy cultured pearls, graduating in size and individually knotted. 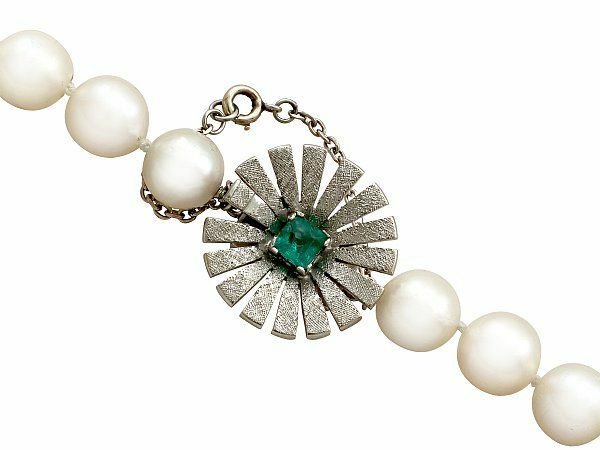 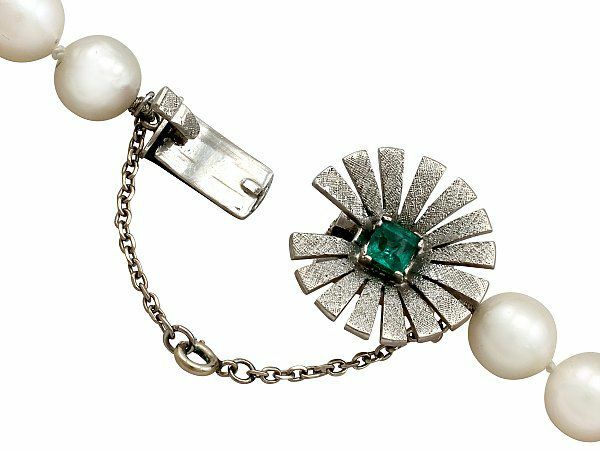 This fine pearl necklace secures to the reverse with a 18 ct white gold clasp crafted in the form of an abstract flower head. The clasp features a step cut emerald four claw set in subtle relief to the centre. 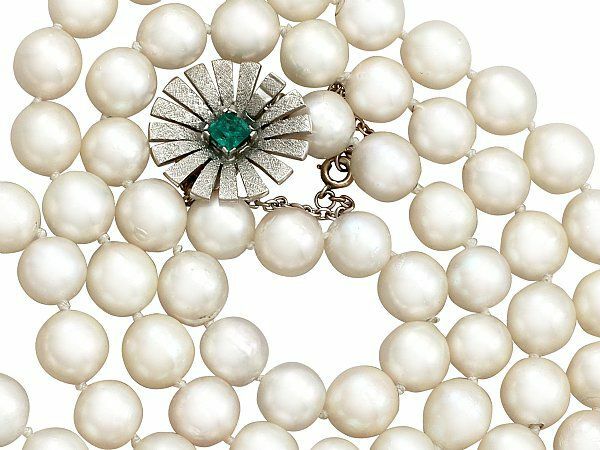 The fifteen individual 18ct white gold petals are accented with a textured finish. 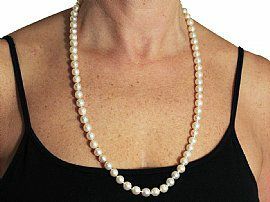 This matinee length pearl necklace is supplied with an independent diamond grading report card. 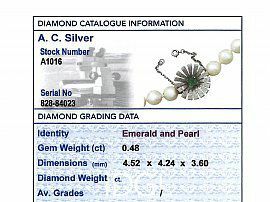 The vintage clasp has been independently tested using state of the art technology (Niton XL2 Analyzer) and verified as 18 ct gold. 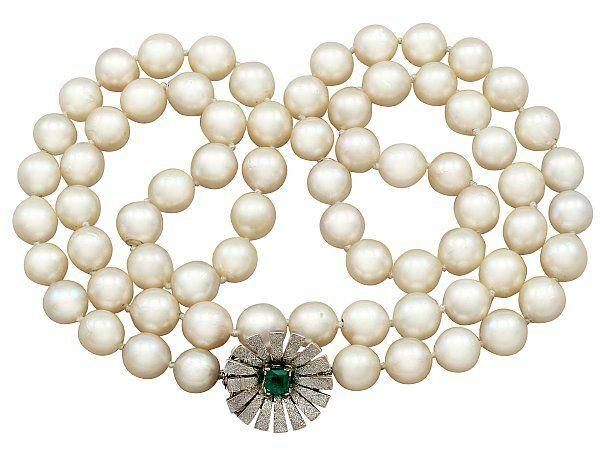 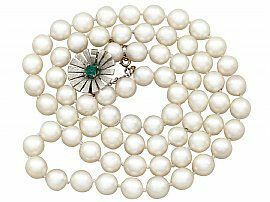 This impressive single strand pearl necklace is fine quality, set with well colour matched pearls and a natural feature emerald. 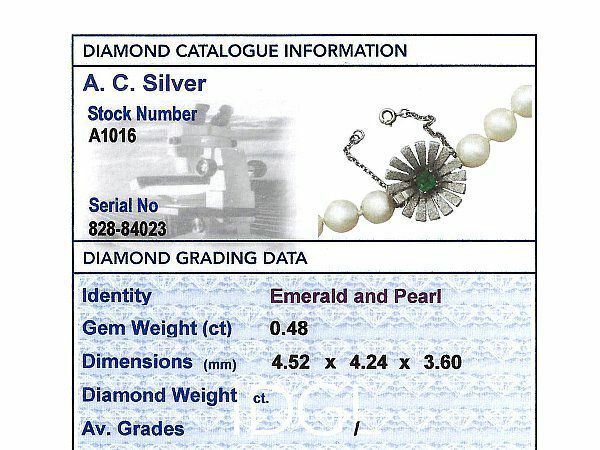 The emerald is securely held, but has a very small surface chip. 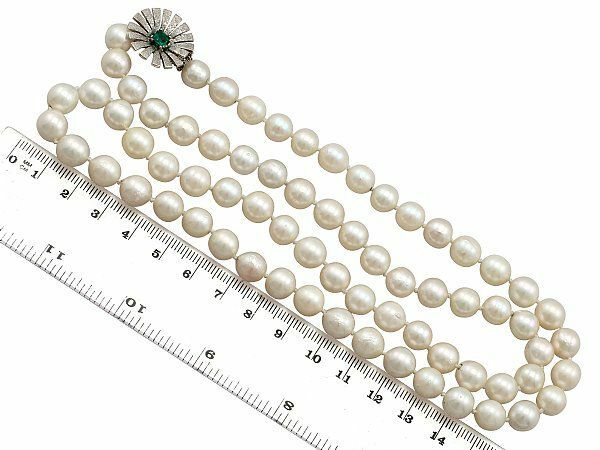 Length of strand 68.58cm / 27"
Diameter of clasp 1.97cm / 0.77"
Length of safety chain 5.5cm / 2.16"